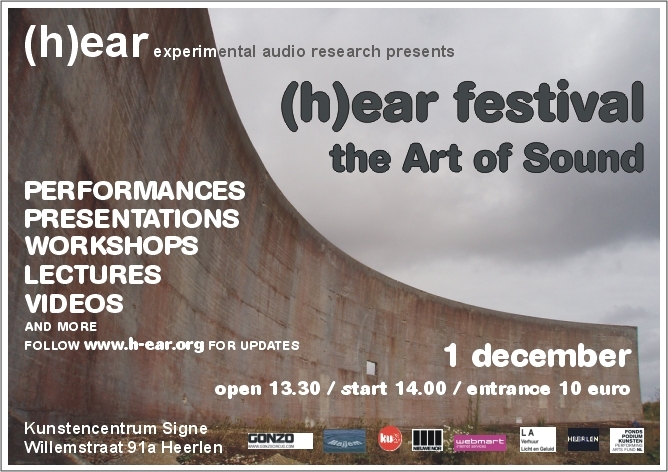 (h)ear festival – “The Art of Sound” will be held on saturday 1st of December. 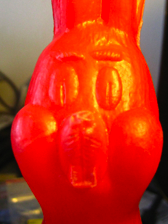 We will present speakers who are organisational active within the field of sound art. Besides that we will have a workshop and presentations of new or rare instruments. On top of that there will be a hugh amount of performances. On thursday 1 November we will start with presenting a name each day for this years (h)ear festival #2. So check regulary for updates. A timetable will be presented soon. (h)ear festival – “The Art of Sound” zal worden gehouden op zaterdag 1 december. Dit jaar presenteren we sprekers die zich organisatorisch bewegen in het veld van klankkunst. Daarnaast komt een workshop en worden er nieuwe instrumenten gepresenteerd. Verwacht daar bovenop heel veel optredens. This entry was posted in Uncategorized and tagged (h) ear festival, Arvind Ganga, Dagora, Festival, Gonzo (circus), Heerlen, The Art of Sound, Ti Femme. Bookmark the permalink.